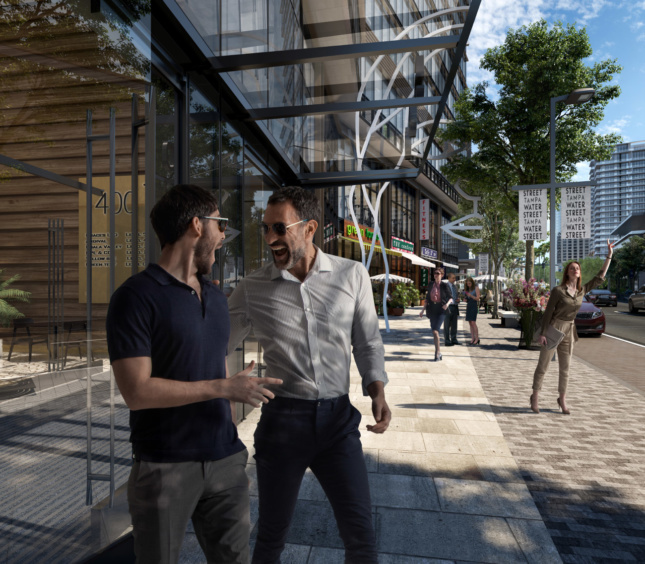 Water Street Tampa, a massive new mixed-use waterfront neighborhood, will receive two new high-tech office buildings courtesy of New York’s COOKFOX Architects and Gensler. The two towers will be the first to rise in the development and will be Tampa, Florida’s, first ground-up office towers in 25 years. Combined, both buildings will bring nearly one million square feet of office space to Water Street Tampa, the first WELL-certified neighborhood in the world according to developer Strategic Property Partners (SPP). COOKFOX’s design for 1001 Water Street is reminiscent in form of New York’s classic cast-iron buildings, complete with a crowning cornice. 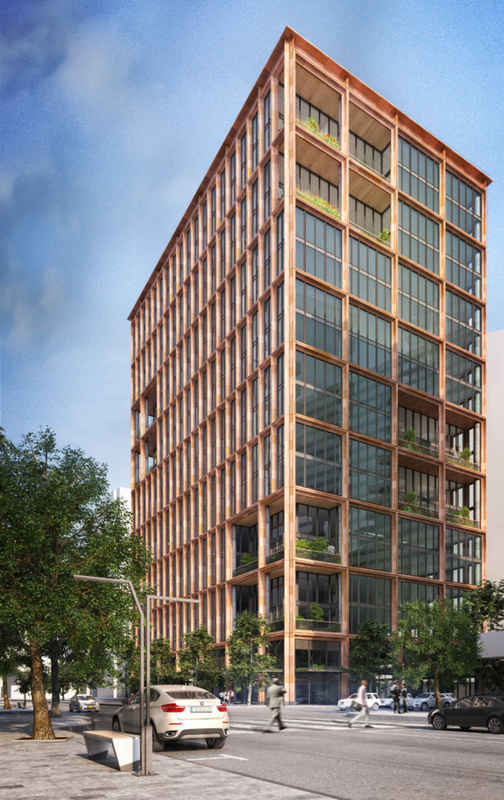 The 20-story, mixed-use tower will hold 380,000 square feet of offices, and from the renderings, it looks like COOKFOX has integrated its signature biophilic touch. Nine planted, double-height terraces will wrap around the exterior of 1001 Water Street, and the building will be capped by a landscaped rooftop terrace. Inside, tenants and the general community will be able to make use of the Water Street Tampa wellness community center. No square footage has been given as of yet for the non-office components. 1001 Water Street will be connected to the University of South Florida’s Morsani College of Medicine courtesy of a Nelson Byrd Woltz Landscape Architects–designed plaza. 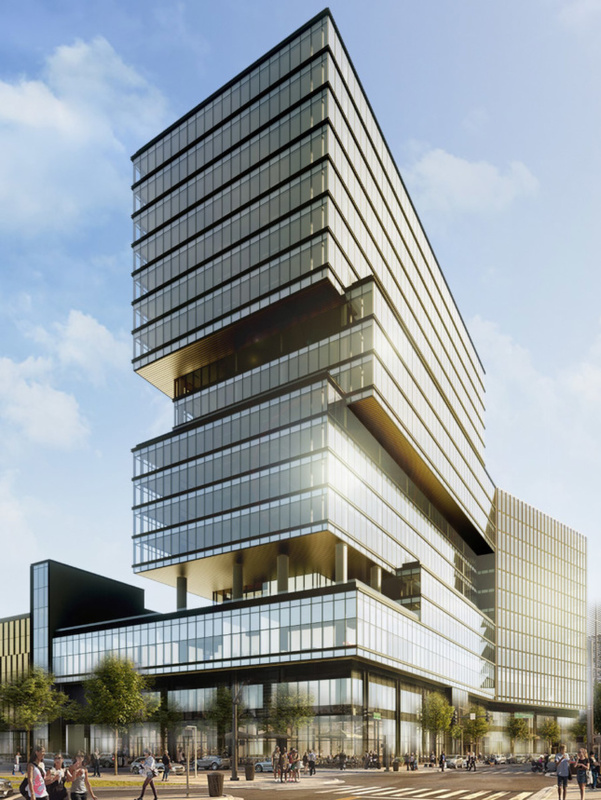 Gensler has taken a decidedly glassier approach at 400 Channelside, offsetting glass-clad volumes to create a 500,000-square-foot, 19-story office tower. 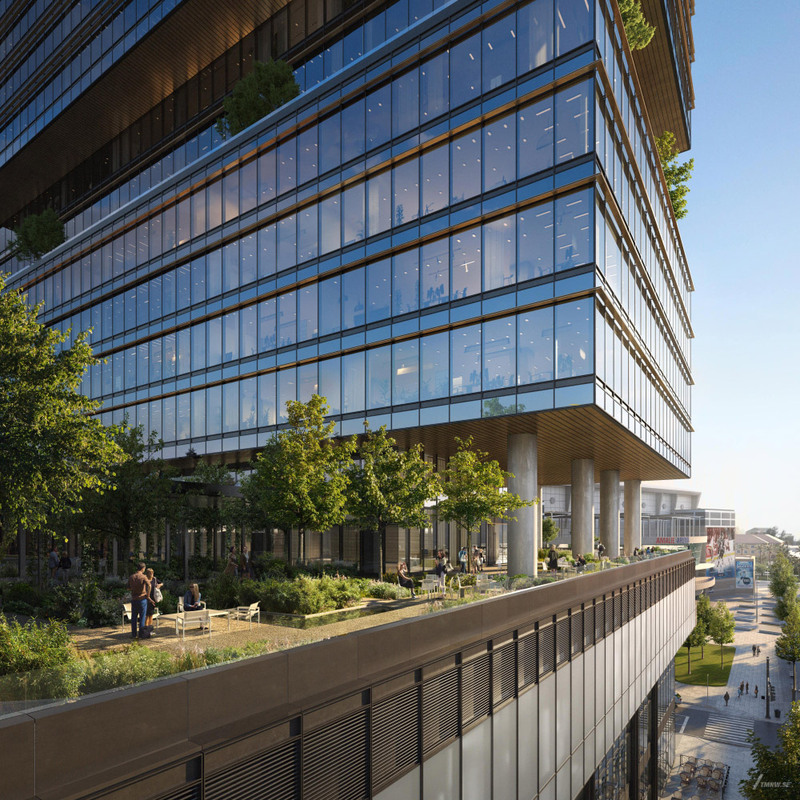 The building, much like COOKFOX’s, was designed with a focus on connecting tents with the outdoors and will include a 30,000-square-foot, landscaped “sky garden” on the fourth floor. Much like 1001 Water Street, 400 Channelside will also include floor-to-ceiling windows. Both buildings will be WELL and LEED certified­, though to what level hasn’t been revealed yet, and are expected to open sometime in 2020 or 2021. Once the new neighborhood is fully built out, Water Street Tampa will feature 2 million square feet of office space and is expected to serve up to 23,000 residents and visitors daily.